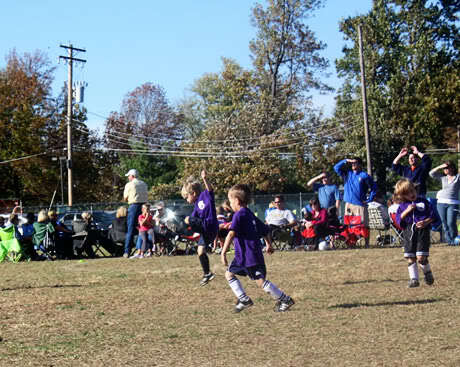 Nathan really enjoyed playing on a soccer team this fall, and has shown us some great progress over the 8 weeks. 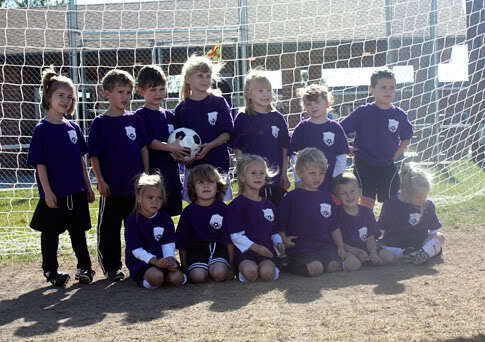 Here is a picture of him with his purple team! 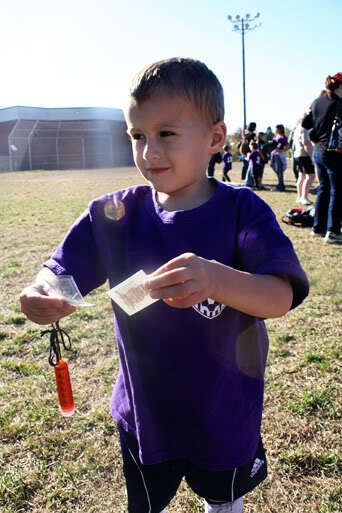 On the practice before Halloween, the coach gave all of the kids mini flashlight necklaces and tattoos. Nathan LOVED the flashlight. 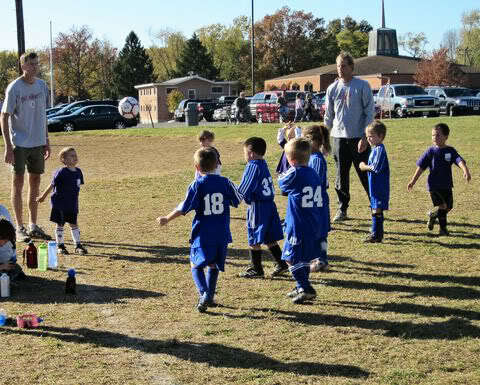 Last Saturday was Nathan’s last soccer game. Here he is with his medal. 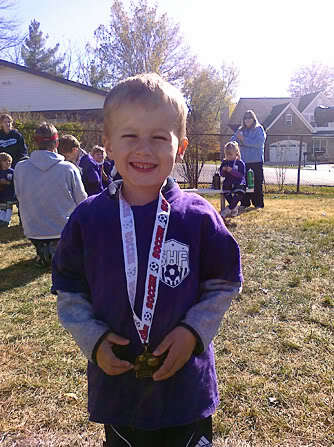 He is SO proud to have his first medal! 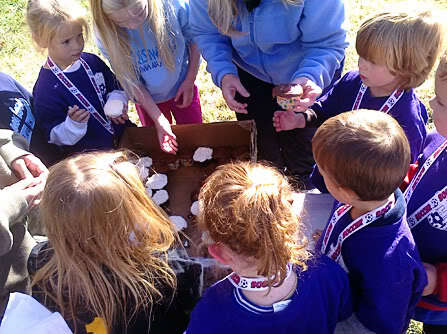 The coach’s wife also made all of the kids and parents cupcakes. Yum! 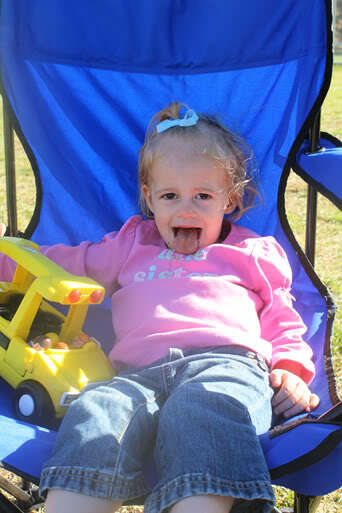 Then they had a hotdog, lemonade and cookie party. Did I mention Nathan had lunch before all of this? But, he had quite an appetite! Which, is always nice!